NEWARK, New Jersey (WABC) -- Talks are stalled between rail worker unions and New Jersey Transit as the threat of a strike looms. Another attempt at negotiating failed Friday, and the talks are now moving to the nation's capitol to meet with the National Mediation Board. Union officials have authorized a strike on March 13th if no agreement is reached. Workers are demanding wage increases and better health coverage. A federal labor board created to mediate the dispute has recommended that NJ Transit raise workers' pay by about 2.6 percent per year over the next 6 years. 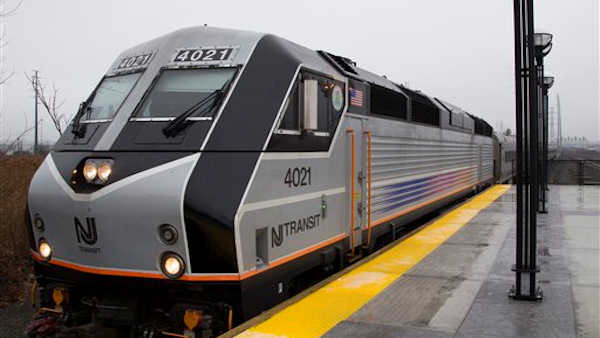 This month, New Jersey's congressional delegation sent a letter to NJ Transit urging the agency to seriously consider the board's recommendations. Last week, NJ Transit interim executive director Dennis Martin called the wage and health proposals "exorbitant" and "excessive." The agency is making contingency plans in the event of a strike.